Wordpress Lifestyle Magazine OLSEN - Here to download! WordPress Lifestyle Magazines and Blogs are among the most popular thematic blogs! No wonder, because most people are looking for special things for your style, your apartment or simply for everyday life! 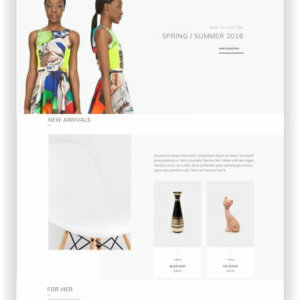 From stylish fashion, jewelery and cosmetics to extravagant facilities, to the latest trends in the leisure market and in the sports and fitness sector, everything will fit into your new WordPress Lifestyle Magazine. 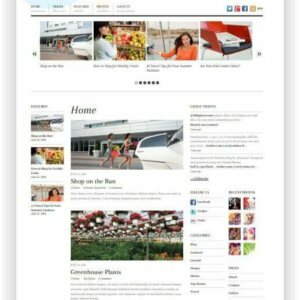 You can create also an shop in your blog with the WordPress Premium Theme and make money online! Multiple layouts to choose from – With eleven blog layouts to choose from you can rest assured that you will never get bored of your website.Infinite style variations – Style your website exactly as you want it using Olsen’s 20+ color and typography settings.Post Formats – Olsen makes each one of the various post formats stand out in their own unique way. 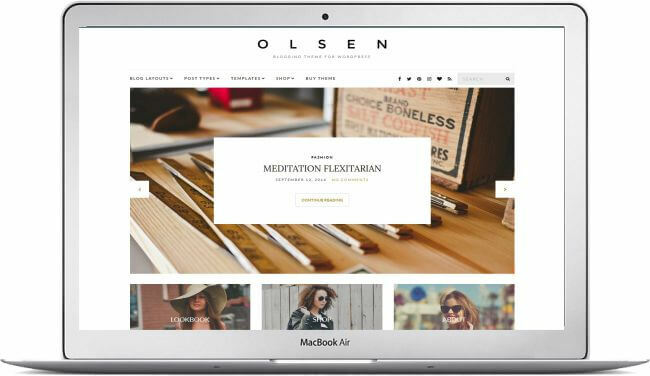 Live Editing – Your website needs to be unique, Olsen comes with more than 80 Customizer settings to help with that. Custom widgets – Highly customized widgets allow you to engage your readers in a more personal way. 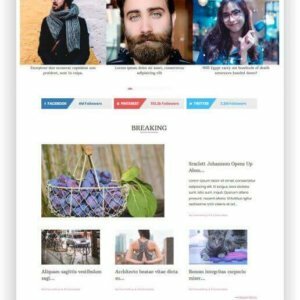 SEO Optimized – The WordPress Lifestyle Magazine theme will help you rank higher in search engines like Google, Bing or Yahoo! Use your favorite page builder. Totally optional, of course. – Elementor – The advanced drag & drop live page builder, The Divi Builder – A drag & drop page builder plugin for WordPress, or maybe the SiteOrigin Page Builder – The free responsive WordPress page builder. Translation Ready – WPML fan? Maybe a Polylang user? What about Loco translate? Your favourite plugin will just work out of the box. Present you magazine in different languages! Affiliate – Integrate product links into your blog and earn money. For example with the Belboon partner program, where you can find hundreds of shops! 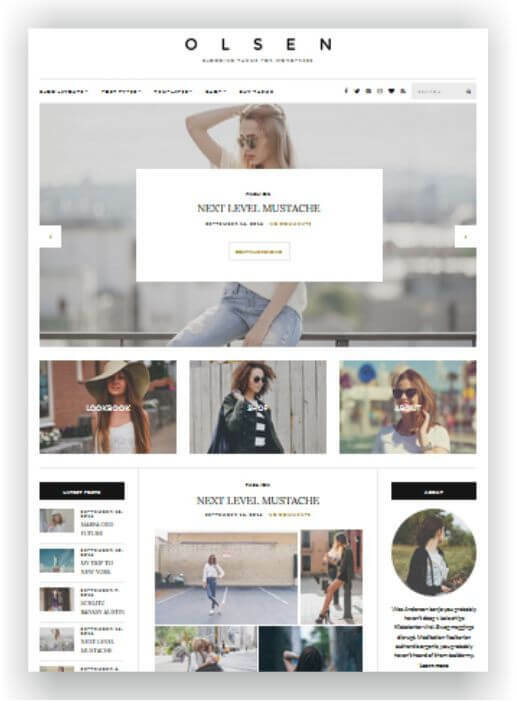 This modern WooCommerce Theme is the perfect WooCommerce theme for retailers. Whether you’re selling high-street fashion, beauty products, or home accessories, Løge will just stand out of the way letting your products shine. Løge offers full compatibility with the Elementor page builder and in addition comes with its own built-in Elementor modules for maximum versatility in content layout. 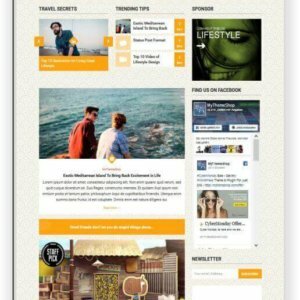 The fast loading WordPress Magazine Theme Lifestyle is elegantly designed with three header and post layouts that make it suitable for multiple uses. Unlike other magazine themes, Lifestyle is lightweight, fast loading and with optimal performance. It is ideal for creating a sleek online magazine in different niches. It is highly customizable and well optimized for AdSense and other monetization methods. Responz is a WordPress Magazine 3 columns for news and editorial sites. The design is minimal and elegant with great typography. It looks great on any resolution on desktop and mobile devices such as iPad, iPhone, Android, and Blackberry. 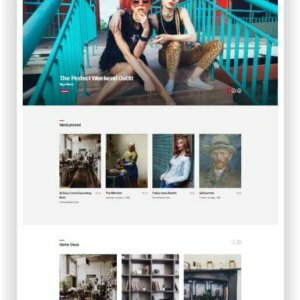 Share your life with Pinmaister, a modern Pinterest-like WordPress themePinmaister‘s powerful customizer options and custom widgets enable truly unique layouts and complete power over the functionality of your new website. 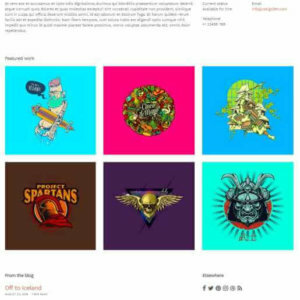 Hellomouse is a clear, simple WordPress portfolio theme for your website!Hellomouse concentrates on the essentials – your work – and by its simplicity does not detract from it. Due to its very slim design it also loads very quickly, which is useful not only for a better ranking, but also for your visitors. The Website for Hotel with WordPress Enfold Hotel is a clean, super-flexible and completely appealing WordPress theme.Best for your hotel website! 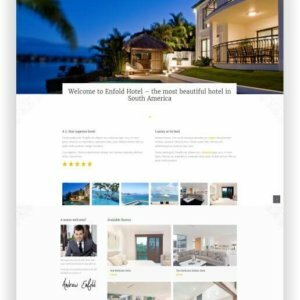 With Enfold WordPress theme for hotel, you can present your hotel to your visitors and guests as it really is – perfect! 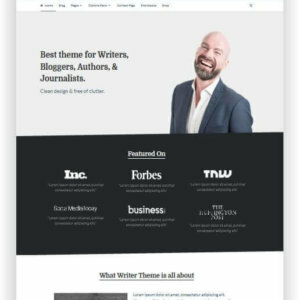 This WordPress Theme for Blogger is a fully responsive and impressive WordPress theme for writers, freelancers, authors, and journalists. It is free of clutter allowing readers to focus on the content. WordPress Writer theme has 3 pre-defined layouts with a 1-click installation. The fonts are readable, and the subtle color scheme makes it suitable for all writing projects.